The outstanding Russian scholar, specialist in Japanese studies, Vladislav Nikanorovich Goregliad, was an expert in manuscripts and a master of Japanese cursive writing, a scholar of encyclopaedic learning and the author of numerous publications and monographs that became classics of Oriental studies already during his lifetime. A marvellous translator, he bequeathed to us brilliant translations of classical Japanese literature. He spent the whole of his academic career at the St Petersburg Branch of the Institute of Oriental Studies where he worked for a half-century, combining in recent years the position of Head of the Institute's Far Eastern Department with his duties as Head of the Chair of Japanese philology at St Petersburg University. A graduate of the same Chair of Japanese philology at the then Leningrad University in 1956, he was accepted into the Institute of Oriental Studies (now the Institute of Oriental Manuscripts) to conduct an inventory of the Japanese manuscript and xylograph collection. This seemingly routine task led to the appearance of six annotated catalogues of the Institute's manuscript collection — A Description of Japanese Manuscripts, Xylographs, and Old-Print Books. They came out between 1963 and 1971 and were compiled in collaboration with O.P.Petrova, G.G.Ivanova, and Z.Ia.Khanin. Somewhat earlier, in 1961, there appeared a facsimile edition of the eighth quire of the manuscript Kankai ibun (Remarkable Facts about the Seas Surrounding [the Earth]), which is held at the Institute of Oriental Manuscripts. The facsimile edition was the young scholar's first work. By strange coincidence, V.N.Goregliad’s last book was a full translation and commentary on the same manuscript (including a comparison of various copies). Beginning in 1962, V.N.Goregliad worked for several months each year as a translator on Japanese fishery protection vessels to master his Japanese. Perhaps this experience served to spark his interest in the fate of the shipwrecked Japanese sailors whom fate cast ashore in Russia. He wrote a great deal about early Russo-Japanese contacts. One of his last publications was a short brochure entitled Japanese Sailors in Russia in the Edo Period. It was published in Japan (in Japanese) in 2001. V.N.Goregliad’s main field of research was the study of Japan’s classical literature, poetics, Japanese Buddhism, and manuscripts. After defending his PhD thesis Tsurezuregusa, an Outstanding Example of Japanese ‘Essayistic Literature’ in 1965, he published a brilliant translation of Notes from Boredom by the monk Kenko-hoshi, at the same time continuing his work on the theme Diary and Essayistic Literature, 10th-13th Centuries. The culmination was his Habilitation dissertation, which became the classic monograph Diaries and Essays in Japanese Literature. 10th-13th Centuries (1975). It was for this book, as well as for his “leading role in Japanese studies in the USSR”, that V.N.Goregliad was awarded in 1987 with the Japanese Yamagata Banto Prize. The monograph Ki-no Tsurayuki (1983), devoted to one of the best-known Japanese medieval poets and theoreticians of poetry, Ki-no Tsurayuki, continued the row of researches carried out by the scholar. This work was followed by numerous articles, among which of special note is Manuscript Literature in Japanese Culture, published in the collection of works The Manuscript Book in the Culture of Eastern Peoples (book 2, 1988). Several years later, V.N.Goregliad published a translation of the medieval work Kagero nikki (Diary of Ephemeral Life, 10th century). Finally, the monograph Japanese Literature, 8th-16th Centuries. Origins and the Development of Traditions (1997), was a result of the scholar’s years-long research on the Japanese literature. The volume of the work, encyclopedic coverage of the theme, the significance of the questions posed by the author, and the high level of generalizations, made this work exemplary and brought its author fame equal to that of N.I.Konrad, at that time the doyen of Russian Japanese studies. V.N.Goregliad had also never ceased his work on translations from Japanese. One of his commitments in this field was a translation of gunki narratives which are considered most difficult in Japanese literature. In 1999, he published his Hogen monogatari. Tale of the Times of Hogen, and, in 2001, he sent to print his translation of Tayheyki (Tale of the Great World). 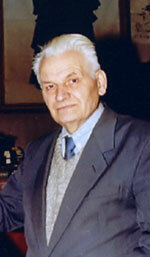 The list of V.N.Goregliad’s published works contains some 170 titles. He was the editor of many collections, member of innumerable editorial boards, and acted as an opponent on many dissertations. He also taught at St Petersburg University, the Eastern Institute, and was adviser of graduate students, including such subsequently well-known scholars as G.G.Sviridov, M.V.Uspensky, A.M.Kabanov, and others. The scholar’s authority in his field of investigations was surpassing, and he was well known throughout the world. He was among the first in the pre-perestroika era to begin active dialogue with the Japanese side, taking part in programs by the Japanese Foundation and initiating contacts with Japanese researchers, who became frequent guests at the St Petersburg Branch of the Institute of Oriental Studies. He was deeply respected in Japan, and was awarded the Order of the Rising Sun, fourth degree, in 1997. Japan and Japanese culture were his life-long love. He found time for everything, responding to all requests with equal good will. He devoted immense energies to rummaging through dictionaries to help students and graduate students find answers to questions that plagued them. He never lost his temper or raised his voice toward his subordinates, always treating his colleagues’ work with the greatest respect and sincerely rejoicing at their successes. Talent, industry, a love for Japanese culture, honesty and great magnanimity were combined in this man. But the key to his character is a laconic phrase that V.N.Goregliad once wrote on a form in the section marked “hobby”: “None of my time is free from my professional activities”. Based on the paper: In Memoriam: Professor V.B.Goreglyad (1932—2002), - in Manuscripta Orientalia. International Journal for Oriental Manuscript Research. Vol. 8, No 3, September 2002. P. 71-72. Памяти профессора В.Н.Горегляда: Аннотированный биобиблиографический указатель / Авторы-составители: Головина К.В., Копылова К.Н. Авторы вступительных статей К.Г.Маранджян, В.В.Рыбин. СПб. : «Геликон Плюс», 2003. 96 с.
Goregliad V.N. Japan Sailors in Russia in Edo Period. Japan, 2001. Азиатский музей - Ленинградское отделение Института востоковедения АН СССР / Редакционная коллегия: А.П.Базиянц, Д.Е.Бертельс (отв. секретарь), Б.Г.Гафуров, А.Н.Кононов (председатель), Е.И.Кычанов, И.М.Оранский, Ю.А.Петросян, Э.Н.Тёмкин, О.Л.Фишман, А.Б.Халидов, И.Ш.Шифман. М.: «Наука», 1972. Горегляд В.Н., Ханин З.Я. Описание японских рукописей, ксилографов и старопечатных книг. Выпуск VI. М.: «Наука», ГРВЛ, 1971.